The Kunsthof Bad Salzelmen is a museum project that includes the Gradierwerk, the Soleturm, the Schausiedehaus as well as a small integrated exhibition in the Red House. 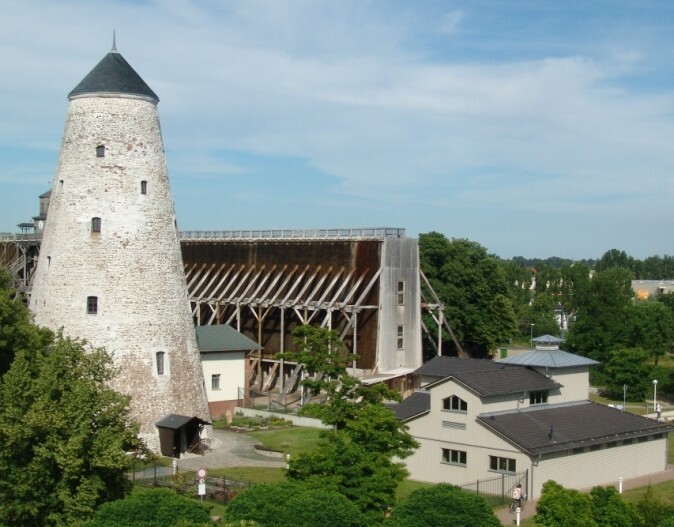 In this tour you climb the heights of the Gradierwerk (Graduation House) and the Soleturm (Brine Tower), descend down to the hidden Victoria Well and marvel at the smallest producing Pfannensaline in the Schausiedehaus (Boiling House) in Germany. A worthwhile ascent to the Graduation House awaits you with magnificent views of the park and the landscape. This coupled with exciting information about the history, construction and function of the Graduation House makes the day unforgettable. Guided tours in English can be requested. Guided tours for groups also are available outside opening hours.